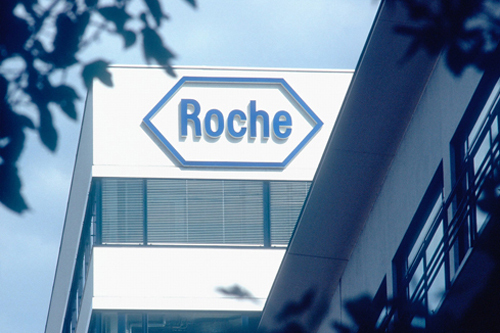 Data due to be reported at a medical conference next week shows Roche's Esbriet can improve survival in idiopathic pulmonary fibrosis (IPF), a rare and life-threatening lung disease. The finding is a clinical first in IPF and is a massive boost for Esbriet (pirfenidone), which Roche acquired last year along with its original developer InterMune in an $8.3bn deal. The new data - due to be presented to doctors for the first time at the European Respiratory Society (ERS) conference in Amsterdam next week - show that Esbriet treatment reduce the risk of death by 38% after two years' therapy. IPF is most common in people over the age of 50 and leads to permanent scarring of the lungs and decreases the amount of oxygen the lungs can supply to major organs of the body, until the patient can no longer breathe enough to sustain life. The new findings have already been incorporated into the package inset for the drug in Europe, according to Roche's chief operating officer Daniel O'Day, who said on the firm's recent results call that Roche is "clearly establishing market leadership with this product." Esbriet is already showing signs of becoming a big earner for Roche, adding CHF229m ($234m) to the company's top line in the first six months of the year, and analysts have predicted it could become a CHF2bn product at its peak. The survival data will stand the drug in good stead as it competes in the marketplace with the only other approved IPF therapy in the market, Boehringer Ingelheim's Ofev (nintedanib), which was given a green light earlier this year in Europe and in the US in 2014. Boehringer has a study ongoing that will look at Ofev's impact on survival in IPF but is not due to fully complete until 2018, although interim analyses may indicate an advantage for the drug. Ofev is a tyrosine kinase inhibitor (TKI) that targets several growth factors involved in IPF: the vascular endothelial growth factor receptor (VEGFR), fibroblast growth factor receptor (FGFR) and the platelet-derived growth factor receptor (PDGFR). Meanwhile, Esbriet blocks the synthesis of TGF-beta, a chemical that controls many cell functions and plays a key role in fibrosis. Roche is also conducting a clinical trial of the combination of Esbriet and lebrikizumab - an anti-interleukin-13 (IL-13) antibody - for the treatment of IPF.